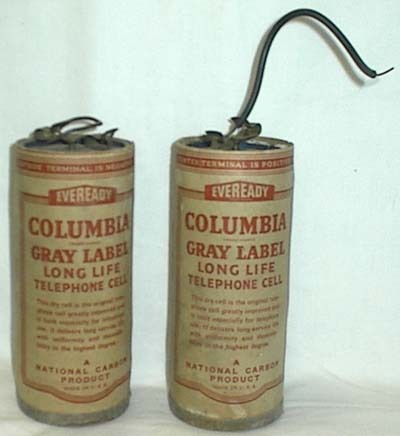 Says, "Eveready Columbia Gray Label Long Life Telephone Cell. This dry cell is the original telephone cell greatly improved and is built especially for telephone us. It delivers long service life with uniformity and dependability in the highest degree. A National Carbon Product. Made in the U.S.A."